Hairfall is one problem that a lot of us are familiar with. Losing chunks of hair is an issue most of us face from time to time. But, in some cases, the hair loss can become permanent. Meeting people who tell you they had thick, gorgeous hair that thinned out over time has become commonplace. So the truth of the matter remains – if you do not care for your hair, it won’t care for you. Curbing the hair loss problem is not simple. With all the remedies that claim to solve the problem, there are only a few that show real results. Vitamin E is one such remedy. It is considered to be an ideal remedy due to its antioxidant property. This means that it acts as a shield against free radicals that harm your skin and hair cells. The chemical name for Vitamin E is Alpha-Tocopherol. It is a fat soluble vitamin which offers a multitude of health and beauty benefits like reducing frizz, dryness, and dullness, and imparting a luminescent glow to your hair. Vitamin E oil and supplements have been gaining a lot of popularity as excellent hair care products. But before we get into that, do you know what about Vitamin E makes it so good for your hair? Let’s take a look! In short- Yes! All of us know that a healthy scalp is the foundation for healthy hair. Scalp health can be determined by a number of things such as the pH levels, oil production, circulation of blood to the scalp, and follicle health. Vitamin E helps bring about a balance in these variables, ensuring that hair grows out to be healthy and strong. It does so by offering the following benefits. Vitamin E helps widen the blood vessels so that it is more easily carried. It also prevents blood from clotting, ensuring smooth flow. The oil, when topically massaged into the scalp, improves blood circulation which provides optimal nourishment to the hair follicles. It also boosts hair growth by detoxifying the base damage caused by oxidative stress. This helps the follicles work more efficiently, promoting hair growth. More often than not, the main cause of hair fall is the excessive production of oil or an imbalance in the pH levels on your scalp. When your scalp is dry, the sebaceous glands are pushed into overdrive, producing more oil than necessary. The excess oil starts to clog the hair follicles, leading to issues such as itching and dandruff, and eventually hair fall. Vitamin E oil counters this by providing moisture, thereby calming the overzealous sebaceous glands while balancing out the pH levels. Vitamin E is known for its rich antioxidant activity that helps neutralize the free radicals that cause damage to your scalp and hair. This keeps your follicles free from damage while curbing splitting and breakage. Vitamin E has strong emollient properties. This means that it seals moisture in the hair shaft, keeping it conditioned. With regular use, Vitamin E tackles dryness, making your hair strong, smooth, and shiny. The deficiency of this vitamin can be a cause for bad hair health. But the good news is that it is readily available in many food sources and so can be easily incorporated into your diet. Following are the different ways in which you can use Vitamin E to promote hair growth. This is one of the easiest ways to incorporate Vitamin E into your hair care regimen. Internal nourishment is as important as external nourishment when it comes to hair growth. 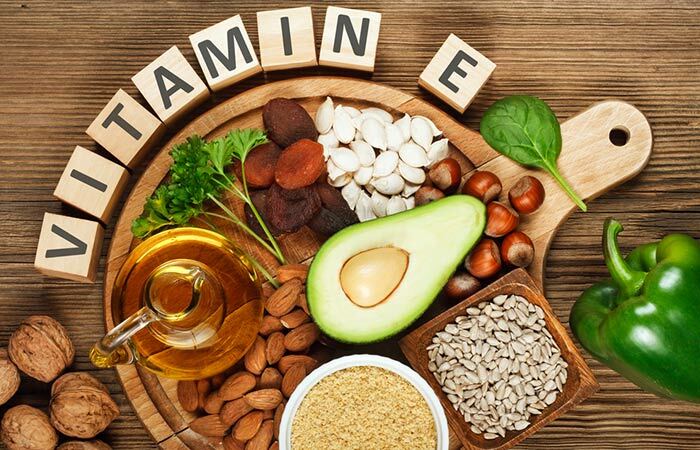 So it is important that you consume foods that are rich in Vitamin E. Some of these food sources are green vegetables like spinach, asparagus, and broccoli; nuts such as peanuts, sunflower seeds, hazelnuts and almonds; oils like vegetable oils, wheat germ oil and olive oil; sprouts, avocado, and so on. Alternatively, you can opt for Vitamin E supplements which are readily available in both tablet and capsule form. Vitamin E tablets for hair fall problems is a popular remedy used by many. It is recommended that one should start by consuming 400 IU of vitamin E supplements daily. This is the recommended dosage which can prove to be beneficial to your overall health without causing any negative side effects. It is important to know that high intake of vitamin E i.e. doses higher than 1000 IU daily can cause thinning of the blood and other blood complications. It is always recommended to consult a healthcare professional before you start taking any supplements. Furthermore, vitamin E works synergistically with other vitamins, adaptogens, and minerals for hair growth. Many shampoos have been specially formulated to provide extra Vitamin E to nourish your hair. 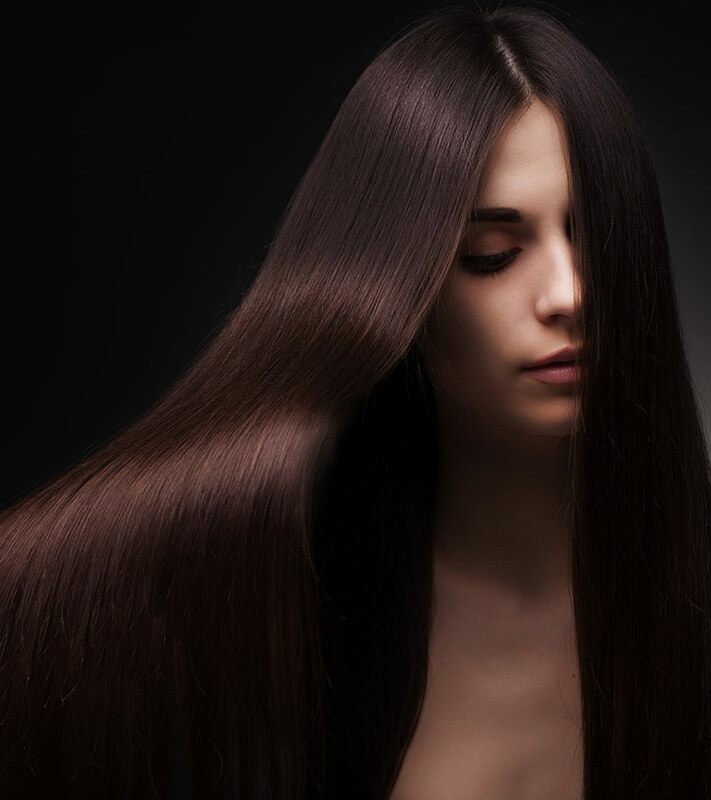 While selecting a shampoo, try to choose one that is free of sulfates and parabens. These shampoos are gentler on your hair and do not strip away the natural oils present in your scalp and hair. 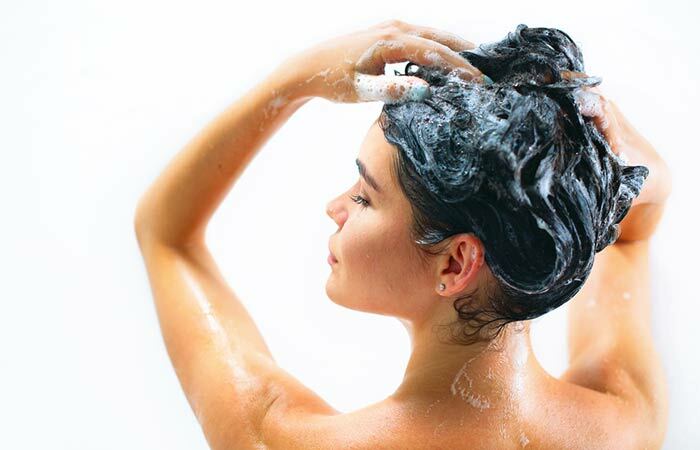 However, it is important to keep in mind that a shampoo alone will not boost hair growth. 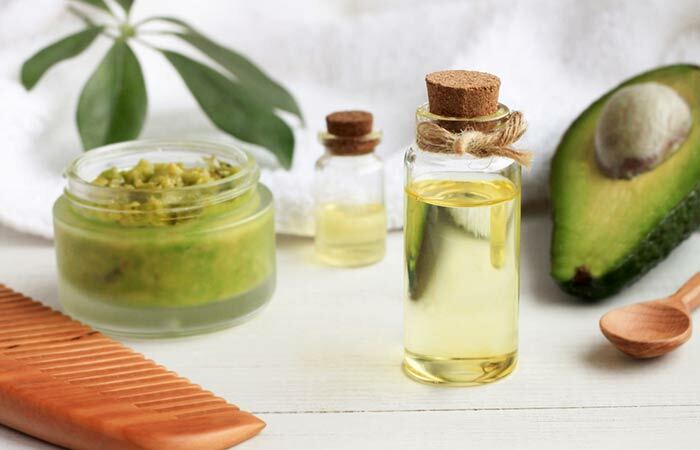 It is important to incorporate regular oiling and the use of hair masks rich in Vitamin E to your hair care routine along with the consumption of a healthy, balanced diet. Take 10-20 capsules, depending on the length of your hair, and cut off the ends so you can collect the oil in a bowl. 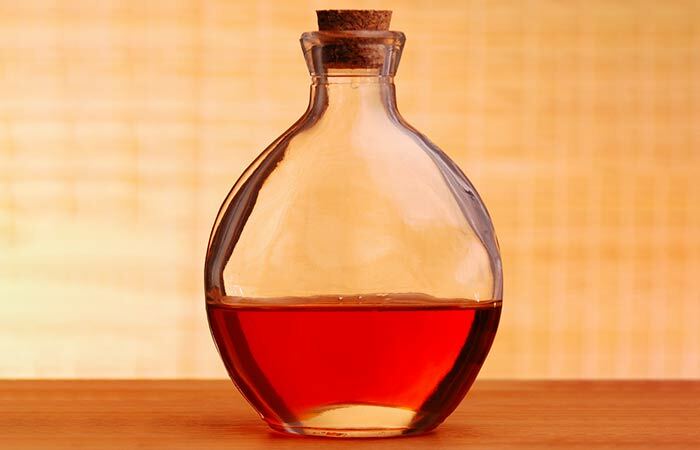 If the oil is too thick, combine it with a carrier oil such as olive oil. Wash your hair and let it dry. Section your hair and start applying the oil to your hair and scalp. Let it sit for 30 minutes and then rinse it off using a mild shampoo. Vitamin E oil helps in rejuvenating damaged hair follicles and prevents breakage. Natural oils that have high Vitamin E content include avocado oil, wheat germ oil, and palm oil. Blend all the ingredients together in a blender until they form a creamy paste. Make sure the paste does not have any lumps. Wash off the mask with a shampoo and conditioner your hair. Avocado is rich in Vitamin E which moisturises your hair and helps in healing damaged hair. Olive oil acts as a smoothing agent. A combination of all the three ingredients transforms rough, dry and frizzy hair into silky, smooth and healthy tresses. Hair loss is definitely extremely frustrating to live with. However, the right remedies can help you tackle this problem quickly. 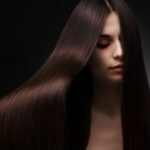 If you have been struggling with hair fall, introducing Vitamin E to your hair care regimen might be just the solution you were looking for.